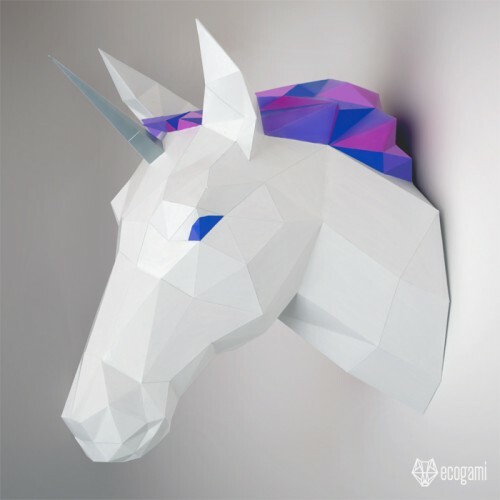 Make your own papercraft unicorn head with our printable PDF plan. It’s easy! Just follow the tutorial & you will be proud of your faceted legendary creature! ► Difficulty Level: Easy. Some small folds in the eyes & the mane require precision. The pattern explains which parts you will need to use if you want to make a unicorn or if you want a horse.